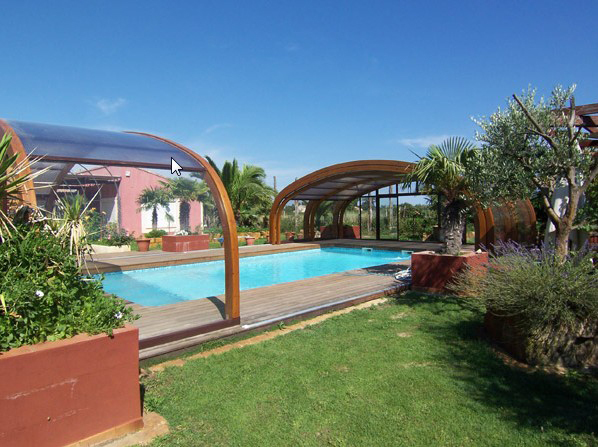 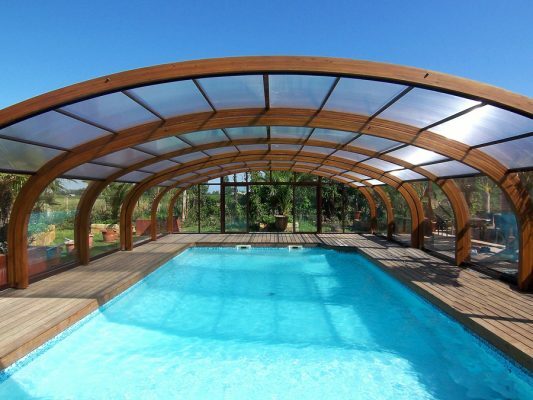 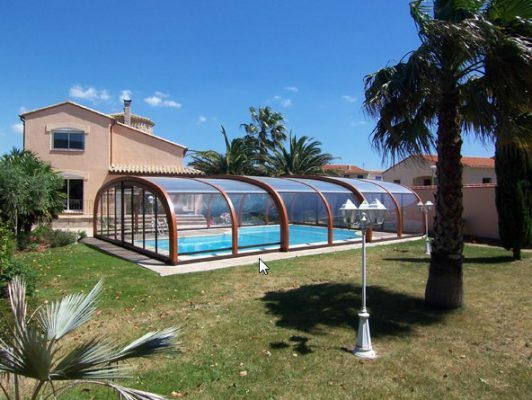 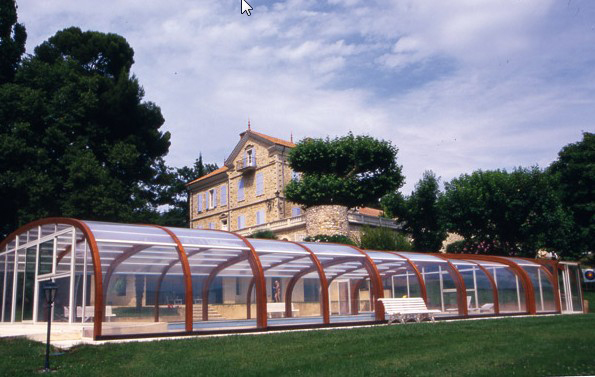 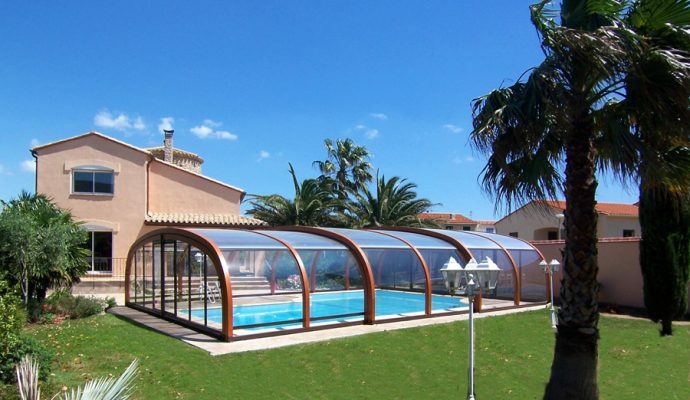 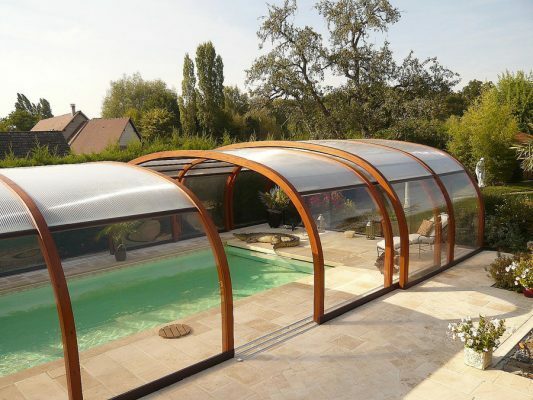 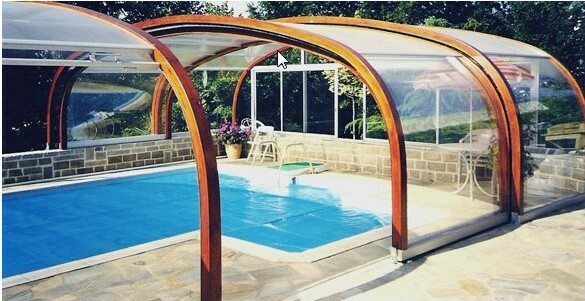 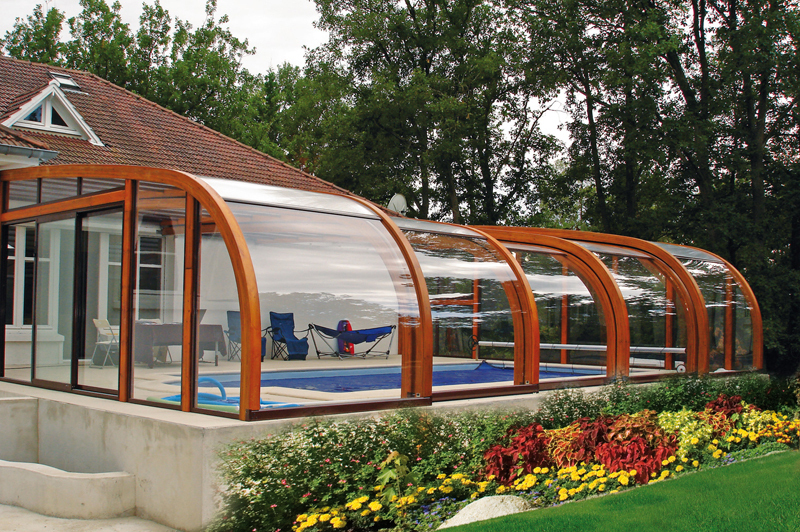 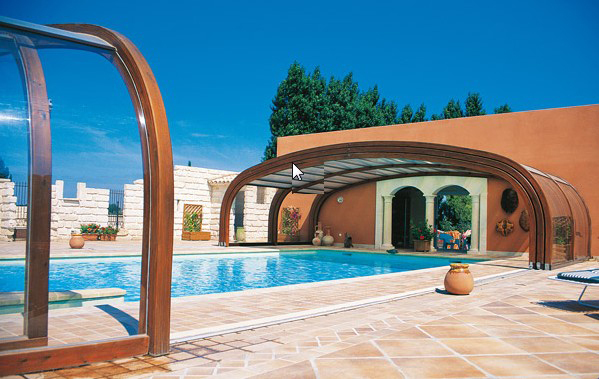 Totally different in terms of aesthetics, integration and shape, this high enclosure allows you to take advantage of your swimming pool in all seasons. 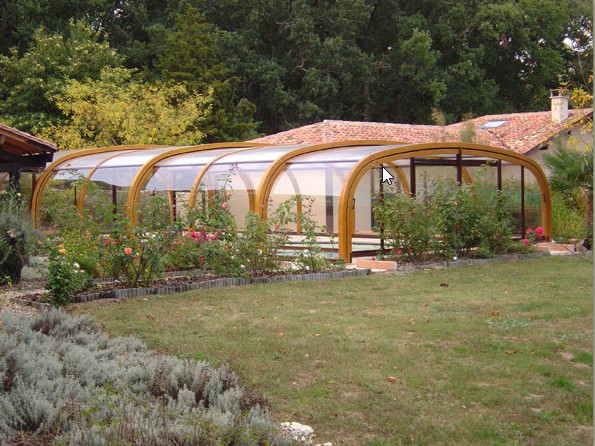 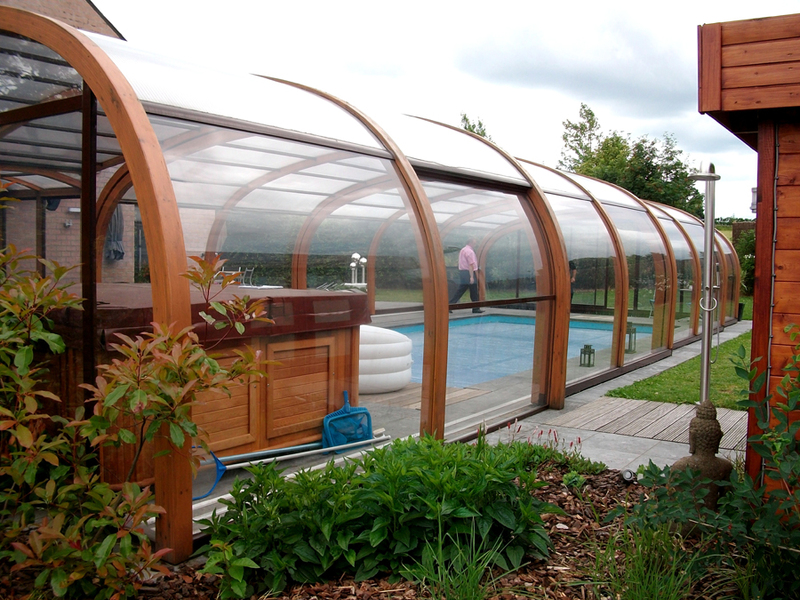 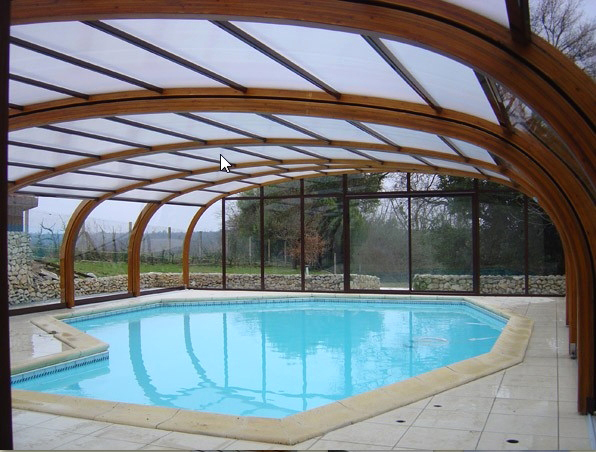 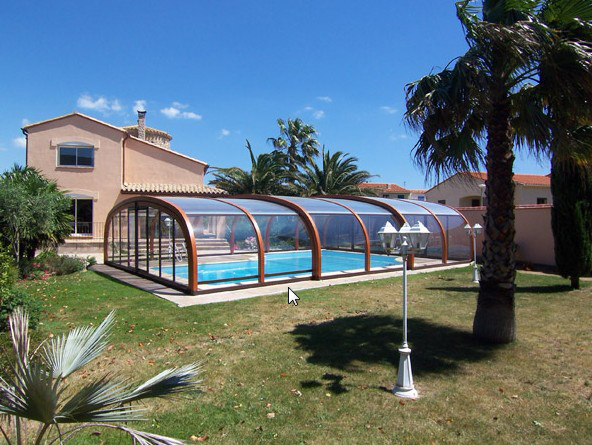 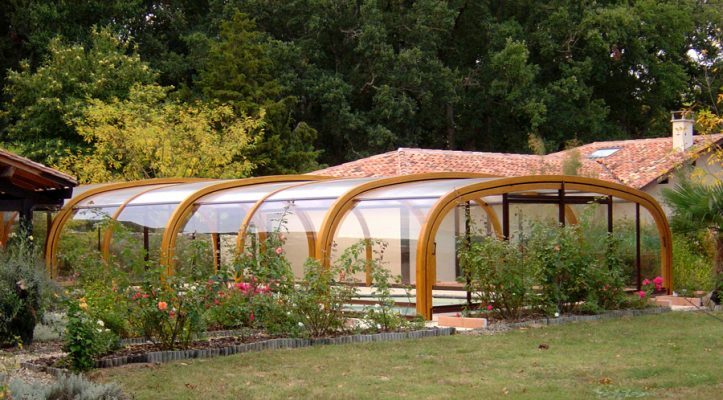 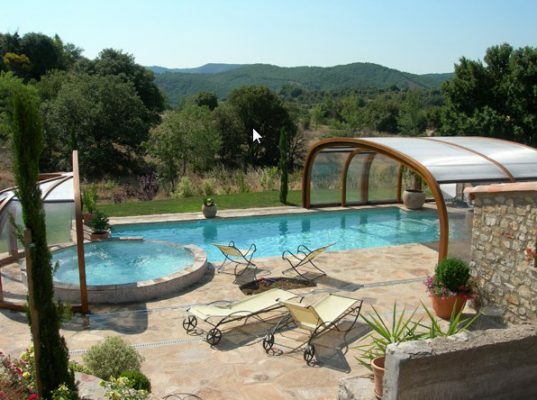 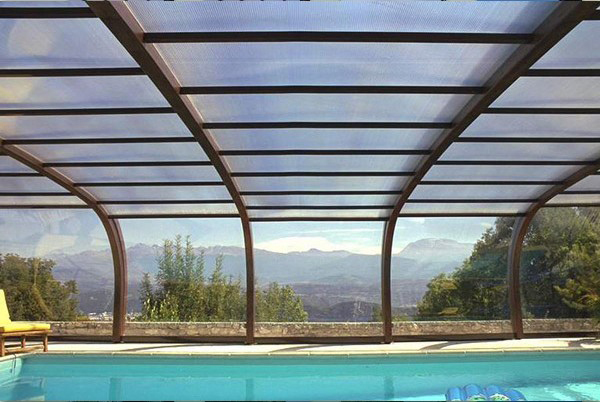 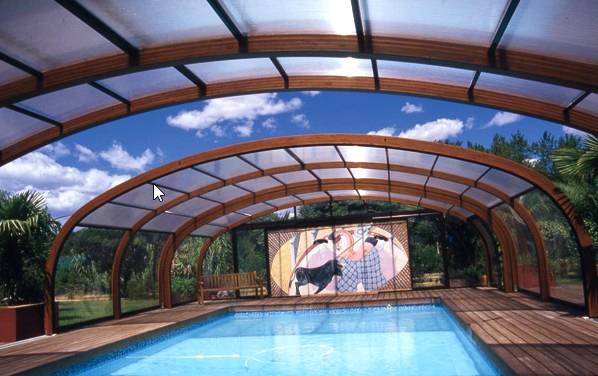 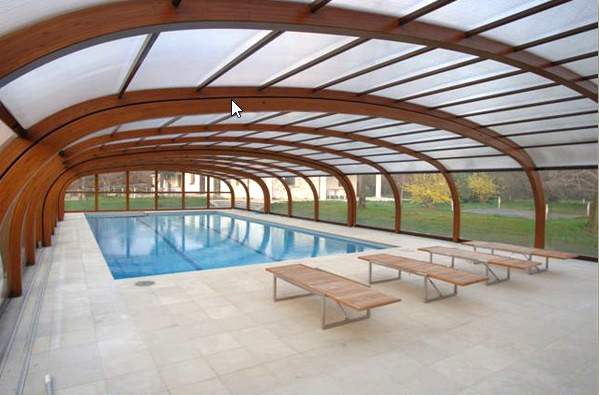 High pool enclosures are the home extension par excellence. 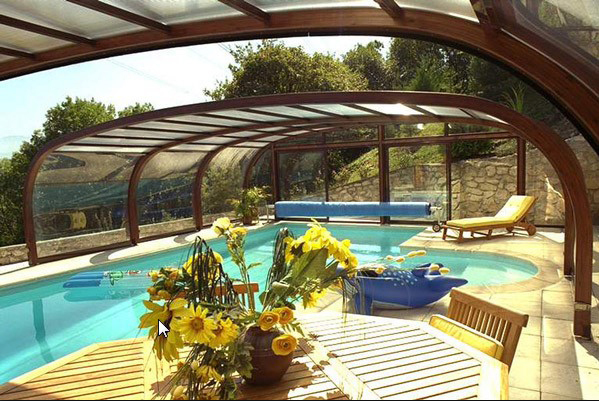 Offering a maximum amount of indoor space, they are a pleasant place to spend time, either for relaxation, for entertaining on fine summer evenings or simply to take full advantage of your pool area on your own, with your family or with friends. 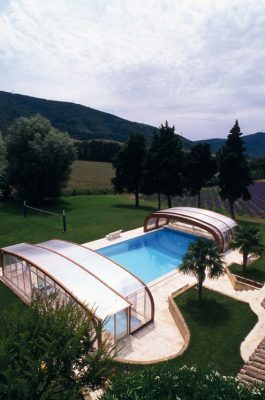 They afford additional comfort and incomparable quality of life – a whole new environment around your pool which you are sure to appreciate. 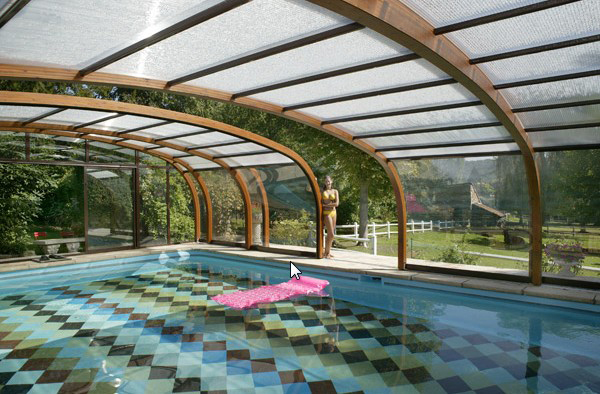 Indisputably, they encompass aesthetics, sturdiness and comfort all rolled into one.